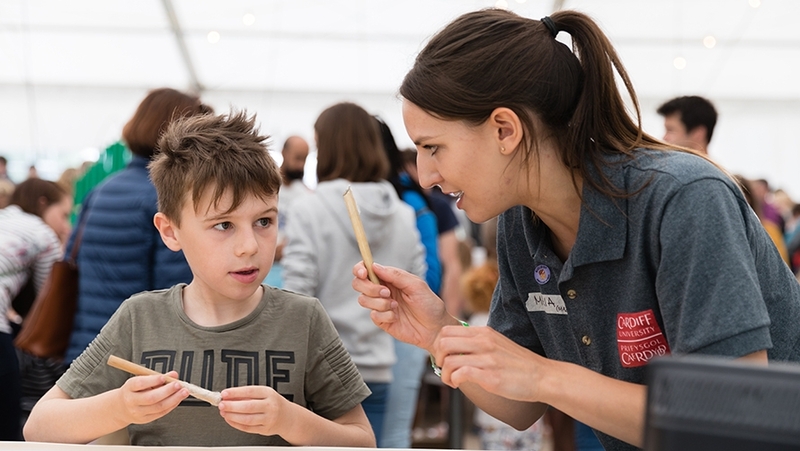 Cheltenham Science Festival is bringing its famous MakerShack back for 2019 and we are struggling to contain our excitement! We want to build an enthusiastic and energetic team for this popular hands-on, free interactive and make the best MakerShack yet. We are looking for makers, designers, engineers and hobbyists to get involved. This years sponsors include IET, Rolls Royce and Renishaw. Activities will range from brick making, advanced 3D printing, hand embroidery, play with a Mekamon robot, paper marbling to name a few – all revealing the wonders of everyday science. We’re looking for makers, designers and artists at all stages of their career – students, professionals or retired people – who have a passion and want to tell people about it. They can run a making station for the entire week of the Festival or simply help for one day. It’s full-on but great fun and they’ll be working with lots of like-minded people who love what they do and love to share. We can offer accommodation and a daily food allowance for volunteers who take part.